So even though the skin on my face has been pretty much the best it’s ever been in my life (which I think is due to the astaxanthin I’ve been taking), I can’t say the same for my armpits. One day for no good reason (in my opinion), both of my armpits simply exploded with a bunch of small, red, rashy sort of bumps. And it was not going away. Close up of said unattractive armpit. Missed a few hairs too. I’ve never been seriously prone to razor burn, but when I have succumbed to it, it’s gone away within a day or so. This was hanging on bright red for more than a week with no fading in sight! Normally I wouldn’t care a lot… I mean… it’s your armpits. Just wear a shirt with sleeves and call it a day until it goes away. 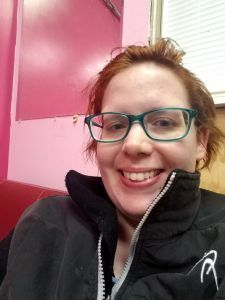 The following is an interview with reader Kat on her journey to discovering the Love Vitamin and clearing her skin naturally. I started getting bad acne when I went into puberty, and it continued like that all the way through college. It was so embarrassing. I tried to cover it with makeup but it still showed through. I tried every product on the market. Proactiv, Clean N Clear, Neutrogena, you name it. Back in the throes of my acne storm, I never went to the dermatologist or anything because I couldn’t afford to. I dreamed about going though (is it silly to dream that?) because I thought that a dermatologist would have the magical cure or medicine. Surely they would have something that would work, right? Some of the over-the-counter products mildly helped my acne, but I also have very sensitive skin. So that combined with the harshness of those products doubled the redness and irritation on my skin… well, I feared that my face would never be completely clear. After everything on the market failing me and then realizing that I could not afford a dermatologist, that’s when I decided to look elsewhere. Well, like I suspect most people did, I started scouring the internet for answers. Using natural and holistic treatments wasn’t completely new to me because I wasn’t the biggest fan of chemicals anyway. I already used natural shampoo and cleansers for the rest of my body. For my face, though, I was totally lost. I was scared to put anything on it, even natural stuff, because my skin was/is so sensitive and easily irritated. So, before I made any changes, I did a lot of research. That was still confusing though, because some things worked for some people and not for others, etc. I really didn’t know what to try, but I figured I may as well do it the only way I knew how, which was keep trying different things until you stumble on one that works. I first found Tracy’s videos on youtube when I wasn’t even looking for anything acne related at the time. I was searching for something on hair care (I can’t remember what exactly) and came across her video on dreadlocks. I watched that video, and then when I looked at the channel, I was like, Oh! There’s skincare stuff here too! And for acne! So, I decided that was a good of a place as any to start. I figured I had nothing to lose. 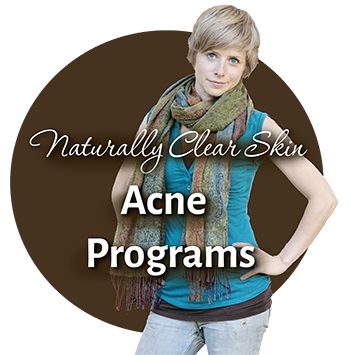 From Tracy, I learned a lot about how acne problems can be treated from the inside out. That made sense to me because whatever you’re putting in has to come out. So if you’re putting crap in, that’s what’s going to show. And yes, I was a terrible eater and my “skin care” diet wasn’t so good either with all my chemical laden creams and washes. The first thing I did was throw out my face wash and switch to washing with coconut oil, because I use that on my hair and already had some. Now, I know sometimes coconut oil can be scary and cloggy for acne prone skin, but it’s never done bad things to me. I loved it on my hair, so I figured it was worth trying on my skin, and it helped a lot. I am very careful to always buy organic, completely unprocessed coconut oil though, so that may be why. Then I threw out all of my beloved (but useless) acne products. All of them, because I realized I was probably way overloading my face. Like, no wonder it was crying out for air! I also changed my diet and seriously cut down on sugar and processed foods (which I have maintained). That helped a great deal alone. The thing that’s different about me is, unlike many people, I don’t actually have hormonal acne (not that I can tell anyway). Mine really wasn’t affected by my time of the month or anything, and it didn’t seem to change when things with my hormones changed (for example, going on birth control did nothing to change it). Mine was definitely due to a lifetime of bad choices, bad eating, and not taking care of my skin. Anyway — I’ll admit that it took me some time to see results. I also experimented with other oils (argan, jojoba) and liked them all, so now I keep a mixture of them around for when I need them. I also do very little to my skin nowadays, but I am always sure to keep it clean. I don’t wash it unless I feel like I need to, but if I get a little clogged, some jojoba oil rubbed on will usually do the trick. I guess I could say that, through watching your videos and reading your articles and books, I learned how to wash and take care of my skin. I didn’t know how to before, because no one had ever taught me or shown me before. And my skin, sensitive thing that it is, really needed something holistic and as free of chemicals as possible. The main thing I found difficult was breaking habits that I’d had for most of my life. I had to train myself to think and do things differently. A lot better! I used to pile on makeup and I would feel so ashamed without it! Now, though, I only wear makeup sometimes but feel fine if I don’t have any on. Kat is a comedian and runs a humor blog at www.kat-mueller.com. She is married to her best friend and tries to stay as healthy as possible. 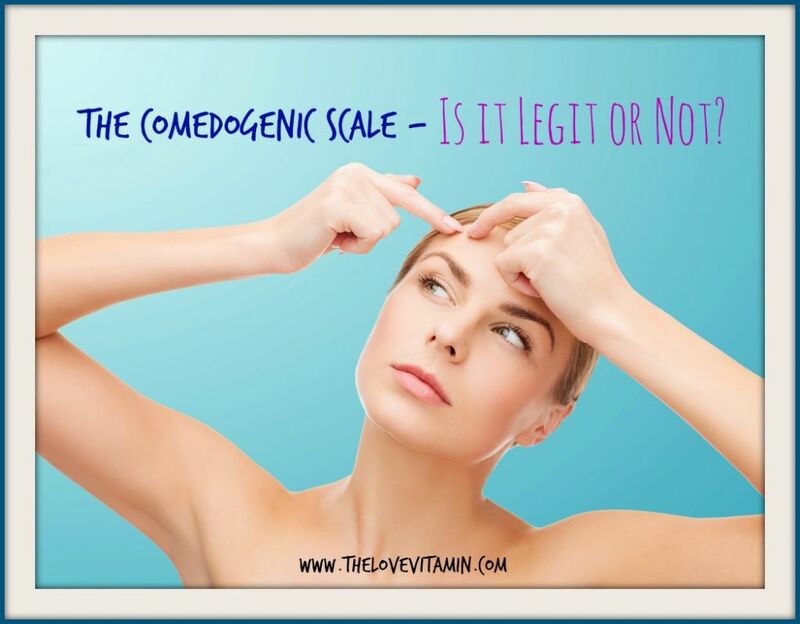 Is the Comedogenic Scale All It’s Cracked Up to Be? As acne prone people, the last thing we ever want to do is put something on our face that can cause acne or clog the pores. 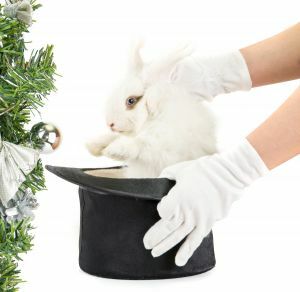 And it’s not just synthetic chemicals that can do that… some natural substances can as well. And that’s why we have this handy dandy tool called the comedogenic scale. What Is the Comedogenic Scale? First of all, comedogenic means that a given substance, when applied to the skin, will create a “comedone” in the pore. In plain English, it means it clogged it. 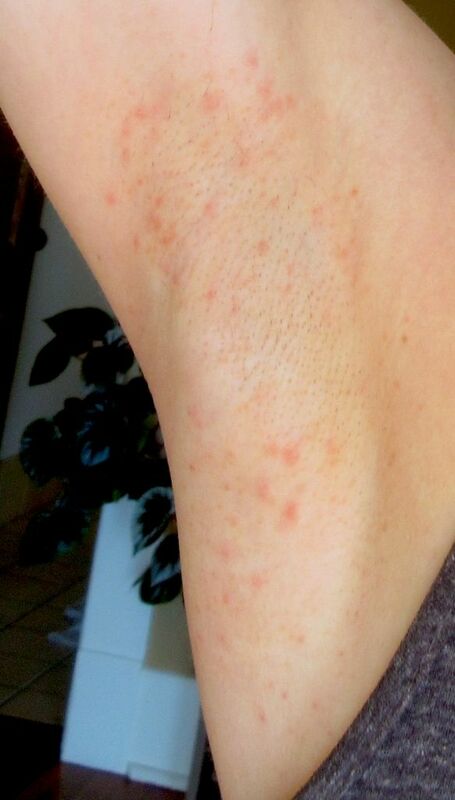 And, of course, clogged pores can then lead to acne. Now, the comedogenic scale is simply a scale of 0 – 5 in which a given substance is rated on how likely it is to clog your pores. 0 means it almost certainly won’t. 5 means it almost certainly will. A 0 – 2 rating is generally considered pretty safe. There are different iterations of this list of comedogenic ratings around the internet. You may have seen them already. Here’s an example. Using this handy list, you are now able to check which ingredients you are considering putting on your skin, and determine with (what you assume to be) cutting accuracy on whether your skin will come out lovely or worse than a pepperoni pizza. But… the question is… what are these lists really based off? What science experiment determined what was comedogenic or not? So, as you may know, a couple weeks ago, we were talking about sunscreen. And how it’s, like, pretty damn nearly impossible to find a really clean, super acne-friendly sunscreen. Unless you want to spend $85 US on the loveliness that is Josh Rosebrook Nutrient Day Cream. I did find a few decent options, for less money. Moogoo. Badger. Babo. Live Live. None of them are as perfect as I want though. Except ol’ Joshy boy. But he’s pricey. So anyway, there is another alternative to explore. And that’s internal sunscreen. 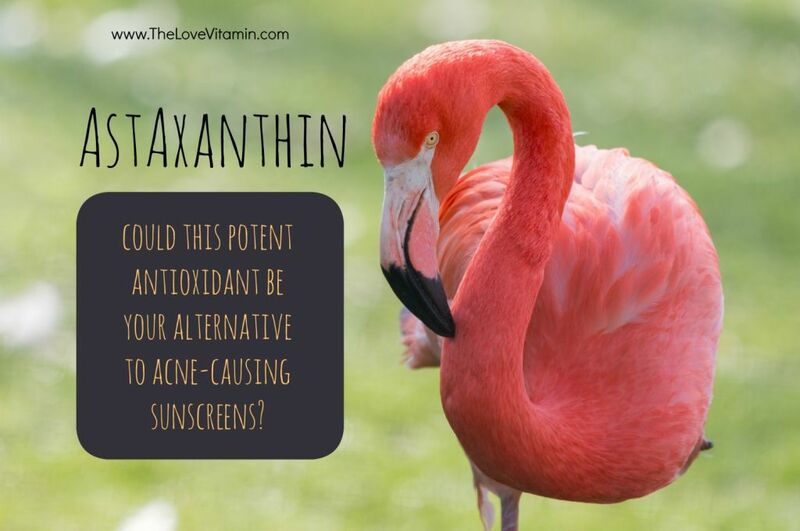 Namely, it’s the supplement called astaxanthin… I can NEVER remember which order the s or the x or the th go in. Ast-ax-an-thin. Say that five times fast. I dare you. 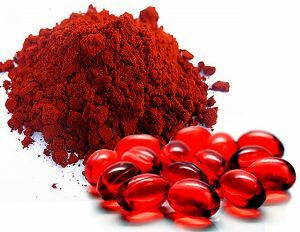 Basically, astaxanthin is a super duper powerful carotenoid based antioxidant. Apparently the strongest natural antioxidant known to MAN! It’s actually the pink pigment in salmon, and in shrimp, and also why flamingos are pink because they eat the shrimp… and then, well, somehow this magical pinkness protects from the blazing desert sun. The magical shrimp sunscreen. So anyway – here’s the deal. 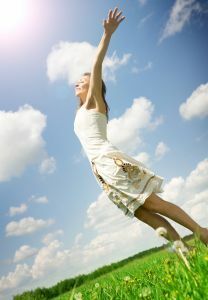 When the sun hits you, the rays create free radicals in your skin. As I’m learning, even if you aren’t in direct sunlight, the rays from daylight still create free radicals – just at a slower rate than if you sat in direct sunlight all day. 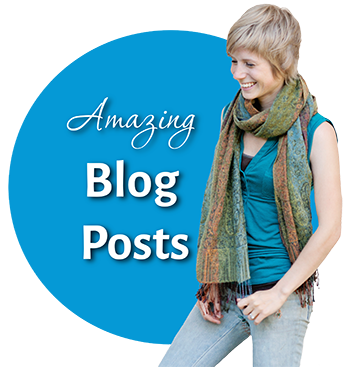 This is a wonderful guest post from reader Denise, full of advice and encouragement for your clear skin journey. Her main message: perfection and an aggressive, prison-like approach to healing just doesn’t work! I’d been living with adult acne for over 7 years. It has taught me a lot about the importance of taking care of my body and to live my life to the fullest. Today I’m totally acne-free but as any other woman, I can get a small pimple around that time of the month. 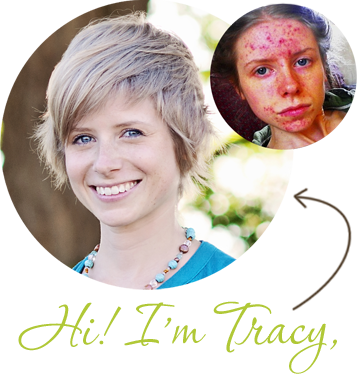 Being acne free is a big dream coming true and a huge goal that I strove for over a loooong time. 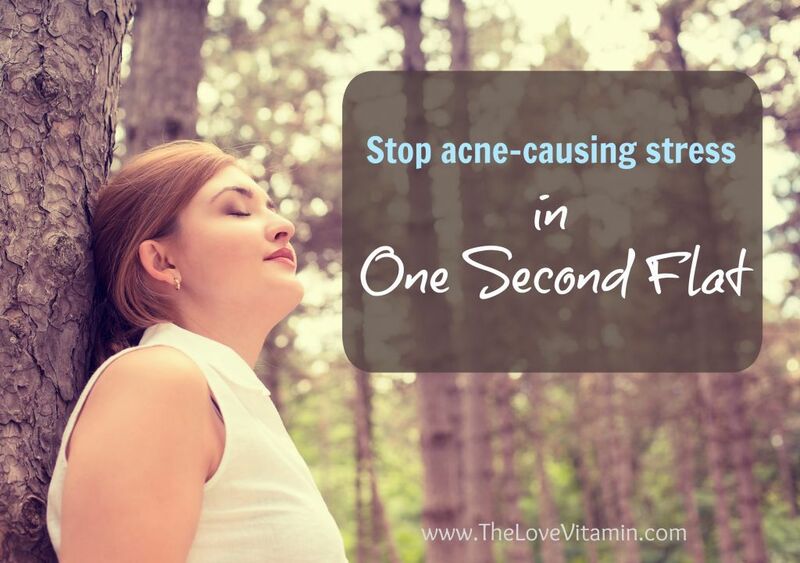 My acne story began when I unexpectedly started to get a lot of pimples around my early 20s. You should know that I didn’t suffer from acne AT ALL during my teenage years so this was quite a shocker for me. I immediately felt how the pimples affected my self-esteem and I wanted them gone as soon as possible. I tried contraceptives, didn’t work. I tried the mild versions of antibiotics but those really messed up my body. I also started to see a dermatologist but I very soon lost all faith in them because the treatments didn’t work and this only seemed to harm and scar my already sensitive skin. So… the acne gods always do this to me. I spend all this time researching a product, ordering it, trying it out, deciding whether or not it’s worthy… and if I decide I like it, then I finally write a blog post to recommend it to you. Aaaaand then they go and discontinue it. That’s what happened with the 100% Pure Argan oil SPF sunscreen I recently recommended. I swear they discontinued it the literal second I pressed “post” on that blog! urgggggghhh. The following is an interview with Love Vitamin reader Maria. After a four year nightmare with acne, she finally can share what worked for her! I have had acne since I remember but it wasn’t always a bad case. It had ups and downs through my teen years but the nightmare began about 4 years ago. After a visit to the dermatologist, she prescribed me Accutane and after 2 weeks I started purging like crazy. 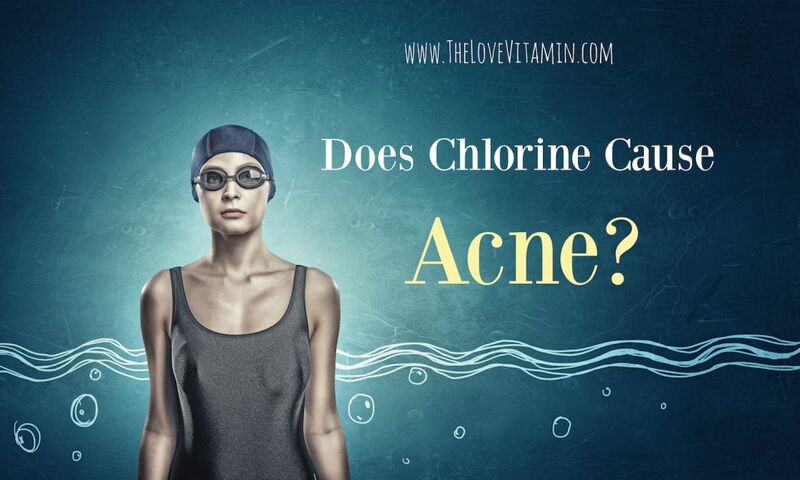 Does Swimming in Chlorine Give You Acne? A question I’ve been asked a fair bit over the years is whether or not swimming in chlorinated pools affects the skin and causes acne. Although I never had a solid answer, I always had a sneaking suspicion that chlorine wasn’t so great for your skin. After all, I’ve seen from personal experience that my skin feels incredibly dry and flakey after a swim at the pool. What’s the Deal with Maca and Acne? Have you heard of maca? It’s this root veggie from the Andes that is said to be a superfood, packed full of vitamins and minerals and all kinds of wondrous nutrients and benefits. The big jazz in maca is supposed to come from the fact that it helps to balance your hormones. It’s what they call an “adaptogen”. It doesn’t increase or decrease one specific hormone, but it gives your body what it needs in order to “regulate” its own hormones. It does this by stimulating your pituitary and hypothalamus to balance the entire endocrine system. Sounds magical and perfect right? Because, of course, as adult women with relentless hormonal acne, we know that anything that balances the hormones is going to lead to better skin and less acne. 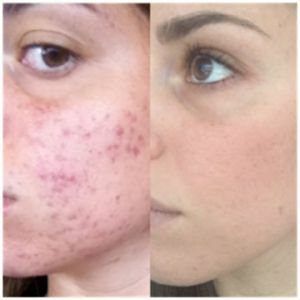 And yes – maca is indeed purported to help a lot of women with acne! But Is Maca Really All Magic When it Comes to Acne? Now, since the beginning of The Love Vitamin (which was early 2011!! woot! Happy 6 years TLV! 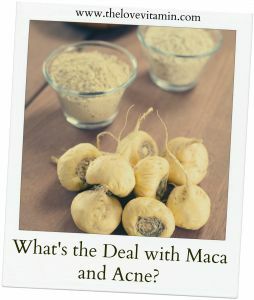 ), I have been asked periodically what I think about maca for acne. And here we are… six years later. And I’m finally going to talk about it!